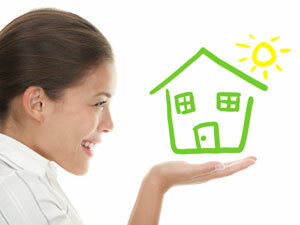 Under certain circumstances, the first time homebuyer may be eligible for a special home loan. This loan is designed for borrowers who have limited savings, little or no credit, and non-traditional income sources. Gifts, grants, and loans can be used as borrowing assets, while utility bills and cancelled rent payments can be used to create an alternative credit profile. Eligible property types are one to four family houses, condos, and co-ops, in select areas only. The home must be the borrower’s primary residence and not a second home or investment property. A down payment of three percent is allowed for a one or two units, condo, and co-op. However, a five percent down payment is required for a three to four unit property. To qualify for a special first time homebuyer loan, your gross income must be below 100 percent of the HUD (U.S. Department of Housing and Urban Development) median income level, or you must live in an eligible geographic area. This means that you have to make less money than the average person in your area. You can find out from your lender the HUD median income level for your state or if the property is in an eligible location. For this loan, you may also qualify with the income of a co-signer who does not live with you. This is referred to as a non-occupying co-borrower. The first time homebuyer loan was originally intended to help people with disabilities or the disabled and civil workers such as teachers, police, fire fighters, and other workers. Today, the first time homebuyer loan is for anyone who can meet the income requirements.